​Have you ever heard of a one pillar pagoda? 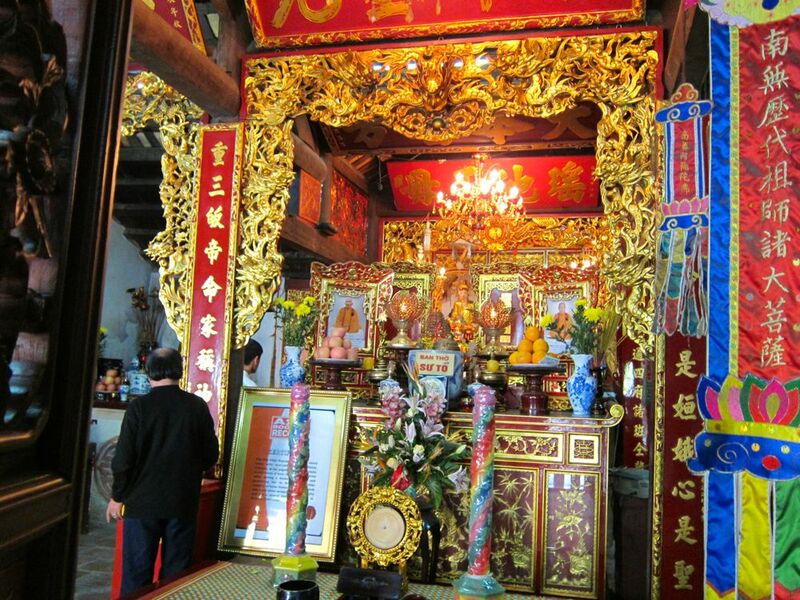 This one in Hanoi tucked in among various memorial monoliths is definitely a delight to visit. In a world of mega UNESCO heritage sites surrounded by singing tenors, moonlight driven spotlights and the hyenas of the home countries' tourism industry, there are some dusty diamonds quietly nestled almost shyly from the eyes of the mob that are not only a feast for the eyes but a joy to the senses. The One Pillar Pagoda is certainly one of these diamonds. Pagodas in Asian countries are never simple things with which to grapple. A thousand years of history complicates often simple structures with a ghost of memories that circle them like a north Vietnamese mist. ​The single pillar pagoda is what it says it is. It is a pagoda shaped like a lotus rising out of a large pond on a huge concrete post in defiance of other logic or gravity. As with so much great architecture, it is the expression of one person's dream and small though it is, once seen, it marks your memory. This pagoda, regarded as one of the two iconic temples of Vietnam, was built by King Ly Thai To who ruled around 1028-1054. Legend says that this heirless ruler dreamt and in his dream, he met the Goddess of Mercy, Quan The Am Bo Tat. The goddess, seated on a lotus flower, gave him a male child. ​Immediately after this dream, the king married a peasant girl who gave him a son and heir. His joy was such that he decided to build a temple to be dedicated to the goddess and designed it based on his dream. Thus, the one lotus flower like temple on a lotus pond. The lotus is a symbol of enlightenment in Buddhism. The One Pillar Pagoda, according to annals, was originally constructed in 1049. It was made of wood on a single stone pillar. This original temple was, however, destroyed during the war with the French. It was rebuilt in 1954 and still used today. The Pagoda is still used today for worship and you will find people there making their offering. You can go up the One Pillar Pagoda and see the altar with the statue of the goddess Quan Nam, the city who appeared to King Ly Thai Tong and in whose honour, this Pagoda was built. 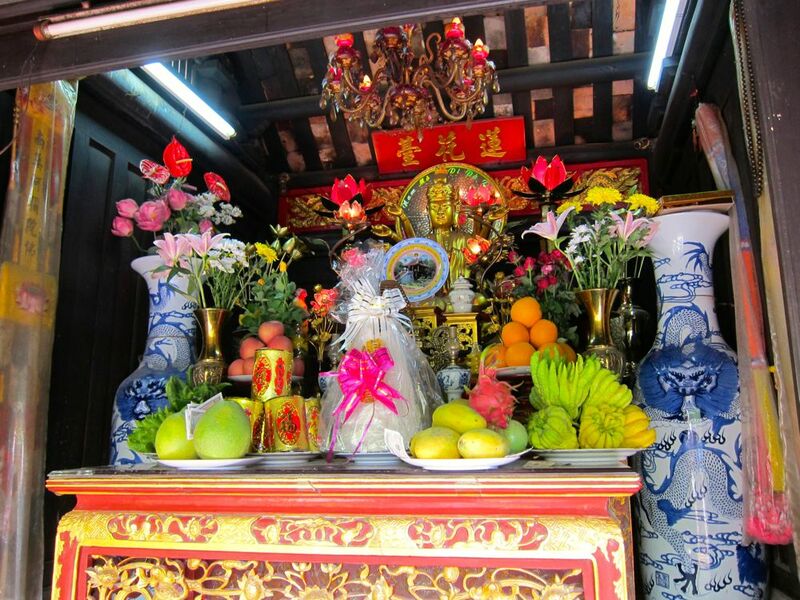 ​The locals offer flowers, fruits, incense to the deity. They pray for fertility and good health. Many people go up there each day so you can't really stay upstairs close to the altar. You need to give way to others who also want to see or offer. However, you can stay and continue your contemplation in the garden that surrounds the Pagoda. 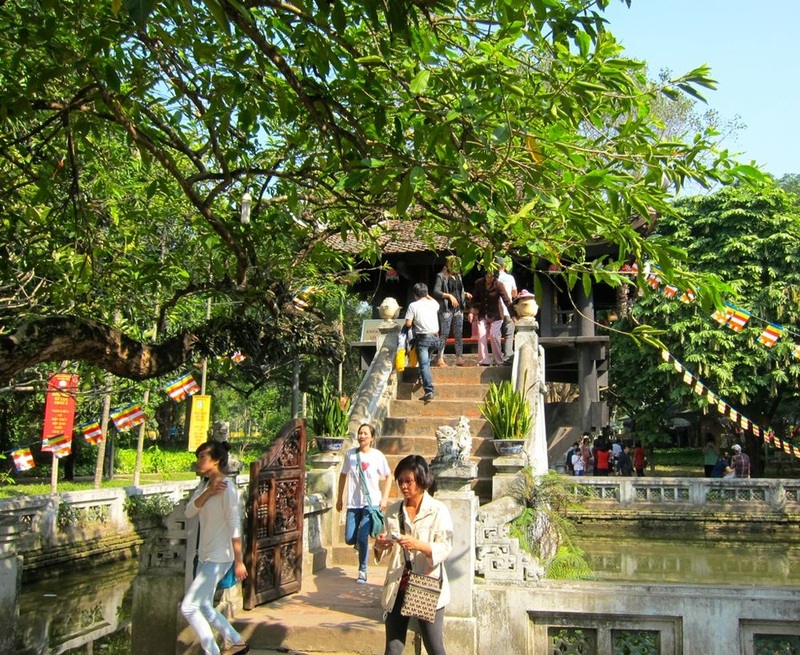 While in the garden, look for the Bo Tree at the back of the Pagoda. This is a gift of India to Cambodia in 1958. This tree is said to be an offshoot of the tree under which Buddha became enlightened. ​1. Take note of the opening hours: 8:00 a.m. to 5 p.m. It is always good to verify this when you get to Hanoi. 3. As this is a temple, you will not be allowed to go in with sleeveless tops and shorts so dress appropriately. 4. Beside the One Pillar Pagoda is the whole Ho Chi Minh complex which includes the Museum, the Mausoleum and Ho Chi Minh's House. You can schedule your visit to the Pagoda on the same day. There are days when the Mausoleum is closed and usually also during lunch hours. 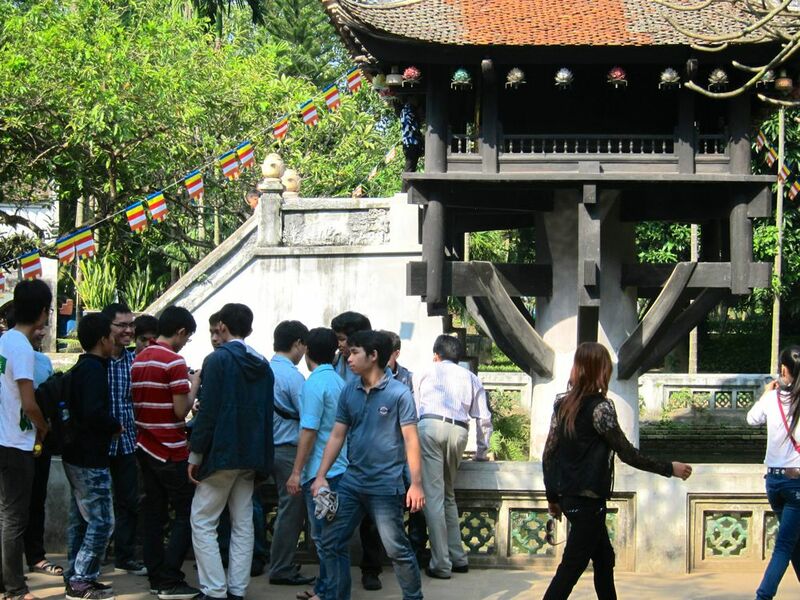 Exploring Hanoi with local guides would be very interesting and this is possible. A group of students have organized themselves to bring you on tours to their home city. The only payment is for them to be able to practice their English. I am sure even if your English is not so good, they will still accommodate you because they can practice theirs. 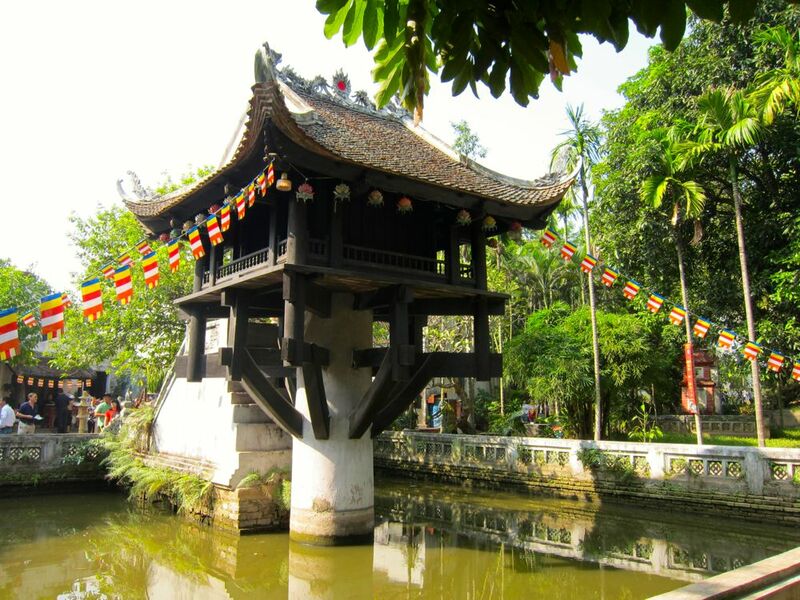 HanoiKidsTours will be happy to share their love of their city with you. 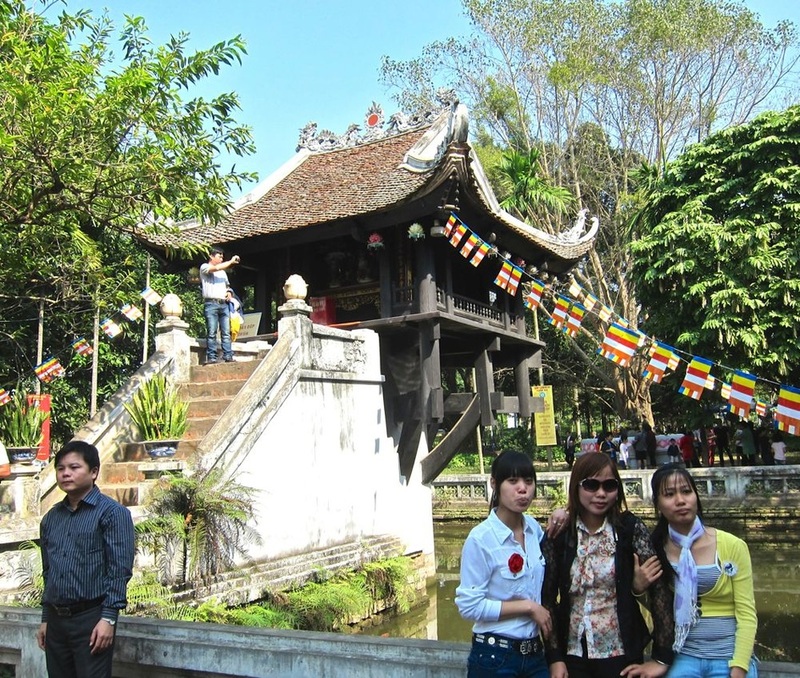 Other than The One Pillar Pagoda, there are many more to see in Hanoi. Use this guide book to plan your stay. I open my copy each time we have a free weekend for exploring.